You should know who is representing you. You should be able to call them if you want. You should know who they are and something about them. That’s what we believe. We have over 200 caring and experienced people to help with SSD claims. We do our best to instill in everyone what you may be going through and how significant these benefits can be to you. Our work is not easy, and we deal with a lot of people who are under high stress. The SSD program is too complicated, takes too long and is too unfair, but we can’t change that. All we can do is help you make the best of a difficult situation. Thomas Klint knows first-hand how disabilities affect families and their loved ones. He didn’t become an advocate for the disabled; he was born to be one. He experienced how Social Security Disability and Veterans Disability changed the lives of three siblings. Having grown up with two brothers and a sister going through the disability process, Tom had no doubt he would spend his career fighting for benefits upon becoming an attorney. Click here to read his entire story that led him to found Premier Disability Services. Over fifteen years advocating for people to obtain disability benefits, Jorge is a highly respected leader in the Social Security Disability community. A career in which he’s worked with several of the largest and most successful Social Security Disability firms in the country, he’s a key member of our leadership team that makes Premier Disability Services a leader in our industry. Jorge is part of one of the first groups to pass an exam created by Social Security that allowed for direct payment of fees to those advocating for benefits. He’s also spoken at Social Security Disability advocacy boot camps and served as a consultant to some of the largest Social Security firms and marketing companies. Jorge’s desire to help disabled Americans stems from battling with a personal disability during his teenage years. He’s made it his lifelong mission to dedicate his life to helping those with disabilities improve their quality of life. Jerry has been with Premier since year one and has been integral in establishing our company’s ability to provide free of charge case evaluations 24 hours per day. With over 25 years of executive level customer service management experience, Jerry brings first class service to the disability services industry. An M.B.A., Jerry teaches evening courses at the university level. He’s been recognized for teaching excellence at the University of Phoenix where he’s trained working adults for over eight years and Named Coach of the Year for P.L.A.Y. youth traveling sports – winning the state championship in girls’ basketball. Coaching and giving back is very important to Jerry. Over the last 30 years, he’s donated over 7 gallons of blood to the Red Cross and other charitable organizations. He’s also coached young kids for many years in various sports. Working at Premier has given Jerry the dual opportunity to help young managers develop and to assist tens of thousands of our customers in getting the benefits they paid for and deserve. Devon’s leadership in our legal department is the backbone of our company. He ensures the proper rules and regulations are applied to every claim we file so that our clients get every penny they deserve. As a former volunteer attorney, Devon’s intense drive to be the voice for the disabled is second to none. Before joining Premier Disability Services, Devon volunteered for the Innocence Project of Minnesota. He also spent time as a student certified attorney for the Public Defender’s Office in Chaska, MN. Devon’s first job after college was a position working with children and adolescents who have a mental illness. During law school, his experience included law clerk/student attorney positions in the fields of personal injury, child advocacy, and criminal defense. These positions instilled in him a desire to advocate on behalf of people who are the most in need of representation. 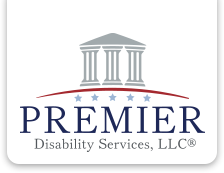 What he’s most proud of in his tenure at Premier Disability Services is being able to see the hard work our staff and employees have put forth to improve Premier so that our clientele are better served on a daily basis. Managing the facility at our national headquarters in Minneapolis, Minnesota is no small task. Lisa makes it look that way with her strong work ethic and personal care for the clients we serve. A business administration graduate with years of paralegal work experience gives Lisa a unique balance of skills that are perfect for the Social Security Disability field. In her spare time, Lisa volunteers a lot of time to her local soccer association coaching and mentoring young kids. She also contributes annually to the Minnesota Special Olympics. Lisa volunteers over 100 hours a year serving her community through her local church, school, and other organizations. She has a passion for art and finding creative ways to make something old into something new. Lisa has been with Premier Disability Services since day one. She describes our company as one that is fair, understanding and has compassionate employees who put the client’s needs first. As the Director of Case Management, Jeana is responsible for oversight of the entire disability claims process. Her division ensures claims are not denied for technical reasons or delayed in any way. Before joining Premier Disability Services, she was responsible for staffing and coordinating, skilled local Electrical Workers union workers with roughly 9,000 jobs. Efficiently sourcing and maintaining quality team members is a skill that makes her a crucial part of our organization. Her degree in Education has also shown to be a tremendous asset in the development of our team members. Jeana tells us that the team of individuals that make up her department is what makes her most proud as a manager. Jeana’s team regularly steps up to work with process improvement changes while always putting the client first. Our teams focus on the client, paired with understanding, and compassion truly represents Premier’s core values. In her personal time, Jeana enjoys working with horses and training the local mounted police force along with volunteering at various autism awareness events, programs, and camps. Jessica is responsible for making sure each department in our organization complies with all standard operating procedures. Our legal team spent countless hours producing our firm’s standard operating procedures to ensure that each client receives top-level representation. Jessica personally audits claims daily and provides her findings to each department. A former department supervisor herself, she’s excelled for years within our organization which is why she was promoted to this key role. Jessica also is responsible for the oversight of our team members professional development. She ensures that each team within our organization receives regular and periodic training. With the combination of her leadership experience and education background, it’s not a surprise that she’s so successful in helping our people grow. Jessica’s passion for helping people goes beyond her job at Premier Disability Services; Whether it’s coaching a youth girls softball and basketball team to coordinating and participating in volunteer events in her community. Every day you will see her helping others. Andrew is a vital member of our Legal Department. He writes legal arguments defending our clients’ disability before the Social Security Administration. Andrew’s passion for helping people first developed at an early age when he was an Eagle Scout. This desire to advocate for people only grew and led to him becoming a lawyer. Before joining Premier, Andrew interned at the U.S. Senate in Washington, D.C. working with the Subcommittee in charge of investigating deceiving debt consolidation practices. He also spent time practicing in the Bankruptcy field assisting clients in their most vulnerable financial state. Andrew has volunteered for “Will for Heroes,” which is an organization that provides free estate planning and healthcare directives to first responders and their families. What Andrew is most proud of about Premier is that the entire company works together toward the common goal of helping our clients receive the benefits they need and deserve. He finds it rewarding to work at a company that strives to be the best at what they do. Joyce Trudeau has excelled in various roles with Premier Disability Services, LLC. Joyce began working for Premier Disability Services as an Intake Specialist while attending law school. Her leadership in that role was apparent, and she quickly obtained a promotion to Intake Manager. Joyce’s experience also includes a role as Volunteer Law Clerk for the Minnesota Coalition Against Sexual Assault. She was a Certified Student Attorney with the Minnesota Appellate Public Defender’s Office. Joyce’s motivation for helping disabled workers originates from a firm belief in activism and giving back to her community. During the aftermath of Hurricane Katrina, she traveled to New Orleans to assist with tearing down dilapidated houses. Now a licensed attorney, Joyce applies her outstanding leadership skills as an integral member of our Legal Department. In that capacity, Joyce advocates for our clients by crafting skilled legal arguments on their behalf. Joyce’s proudest moment with Premier was when she successfully represented a client who was awarded benefits following their hearing. As an associate attorney Nicole Hayes embodies Premier’s culture with her dedication and compassion for clients in need of Social Security Disability. At a young age, Nicole experienced how a disability can affect an entire family. Just after high school, Nicole’s father, a hard-working American suffered a series of traumatic strokes preventing him from ever working again. Nicole remembers how difficult and challenging this new impairment was, not only for her father but her whole family and how exhausting it was to go through the Social Security Disability Process and the impact it made on her family. Nicole knew her future and passion was helping those in need. While attending law school, Nicole worked as a Certified Student Attorney for the Washington County’s Attorney Office; this opportunity provided her with real-time experience in front of Judges in the courtroom. Nicole takes her experience and compassion and applies this to every file she touches. She understands how a disability can affect a family and is especially proud and heartfelt when she can tell a client that the wait is over, a decision has been made in their favor.